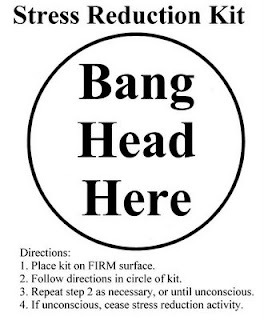 How To Cope With Uni Deadlines! Hello lovely people! I hope you're all fine and dandy and looking forward to the weekend! Now, I follow a lot of blogs and recently i've seen a slight drop in how often people, including myself, are blogging. This might be down to so many things but I know personally for me it's down to the hugeeeeee amount of assignments and uni work I have to do over Easter. Because of this I thought i'd do a little post about how I deal with assignments etc. This is basically just my opinions and strategies, i'm not suggesting what I do is the 'right' way or anything but I just thought i'd share it with you. There is absolutely sitting down with the idea of beginning and ending an assignment in one day. For some people, this may happen (if this is you, please explain how ha!) but realistically it isn't going to work. Right now I have around 25,000 words to right for deadlines from April till May. During Easter I have set myself the target of writing around 750 words a day with a couple of days off each week. Now this may seem like a lot but trust me it is easy, I think i've exceeded that every time. When you reach your target it might even motivate you to carry on, especially if you're in 'the zone' this really happens for me as I feel so proud that i've achieved my goal. If you want a break, take a break! There is no reason at all to sit at your laptop or in the library when you have run out of 'juice' (excuse the expression haha). You will get no where and just tie yourself up in knots worrying about it. The best thing to do is if you're at home things like blog, facebook, watch tv etc I find getting a shower really motivates me. Or if you're in the library, get a coffee, find some of your friends etc, anything to take your mind of it. Even though I suggested taking a break I don't mean completely finish for the day. Your brain will switch off and trying to get your motivation back a day later is just not good. A lot of my friends are complete facebook-a-holics so telling them they can't go on is no good. Instead tell yourself you can check it for five minutes after you've written say 200 words is a much better idea as you motivate yourself so you can get the 'reward' at the end. Please don't turn in to a social recluse. Obviously there may be things that you can't do or go to because you need to work but allow yourself a treat every once in a while. I usually have at least one 'day off' a week where I will go shopping or to the cinema or spend time with my boyfriend. If you let go of all them things you will start to dread writing which will make you put it off. Some people think "oh, I don't have time to go out" but going out for a few hours, coming home and writing is surely better than not going out and wasting time stressing about what you are missing out on and therefore not writing. 5) Leave plenty of time. The key to all of these steps working is to leave plenty of time to do them. Clearly I wouldn't be suggesting going to the cinema if you're deadline is two days away. So when you find out you have an assignment, read the question, plan it, get books out from the library in advance. Then you will be able to have fun alongside doing your assignments. Create a timetable of when you are going to do a bit of work so you can see when you're free to make plans etc. 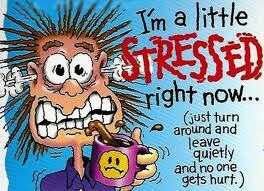 Also the stress of being under pressure causes spots, no body wants that do they? So there are my top tips for dealing with assignments and deadlines, let me know if you do any of these or what you tend to do instead. I am literally going to live by these tips now!! I like the idea of doing a bit each day! It would be lovely if you could check out my blog too? I sometimes lose motivation, especially if I have to write about something that I'm not really interested in! In my flat, three of us sit together in the living room to do our work, and we're doing different things but just having the company helps. I personally can't work in silence, I need background noise!